Purple Mattress Vs Saatva - Which Is Right For You? 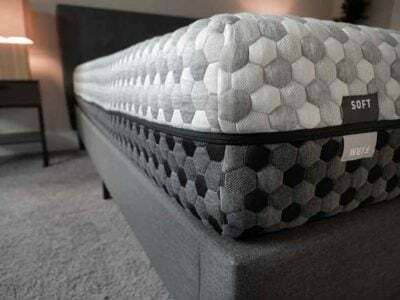 Home » Purple Mattress Vs Saatva – Which Is Right For You? 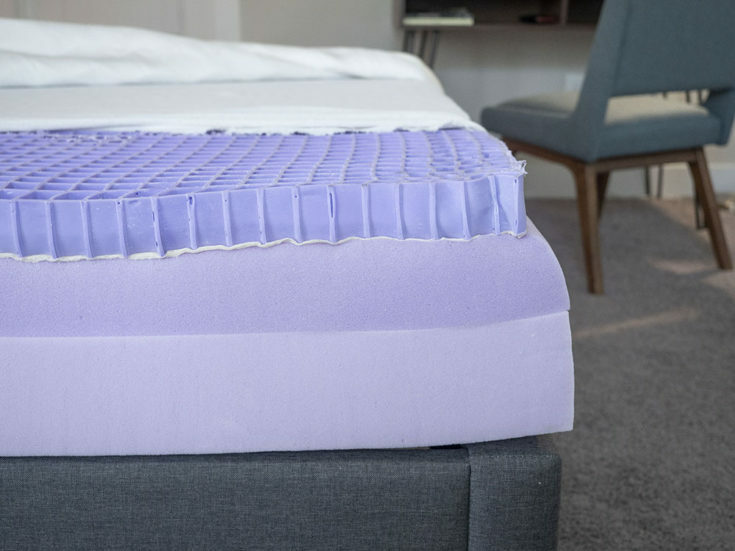 Purple Mattress Vs Saatva – Which Is Right For You? If you are having trouble deciding between the Purple and Saatva mattresses, you are not alone. These are both fantastic mattresses that could be a great fit for many types of sleepers. However, you are only going to choose one. Which will be the right mattress for you? Read on for my full comparison. They are similar in terms of firmness. Both are a good fit for all three sleeping positions. They are both durable mattresses. They should both be breathable mattresses. They incorporate very different materials in their construction. The Purple a hyper-elastic polymer over foam. The Saatva has two layers of coils with a pillow top. The first layer is 2” of a Purple Smart Comfort Grid. It is a hyper-elastic polymer with a squishy feeling. Next, there are 3.5” of a Plush Comfort Foam. The base layer is 4” of polyfoam. The custom slim Luxury Firm version is 11.5” tall. The cover is quilted with foam to create a Euro Top. The next layer is a thin memory foam layer. This is followed by a layer of individually wrapped micro coils. Finally, high-grade coils make up the bottom layer. There is a foam encasement which helps with edge support. The comfort layer of the Purple is made of a very unique hyper-elastic polymer. It is pressure relieving but also firm and supportive. It is designed to collapse once a certain amount of pressure is applied. Both mattresses should be a great match for combination sleepers. The gel grid on the Purple will be supportive on your back and stomach, while still giving you good pressure relief on your side. The pillow top on the Saatva will relieve pressure on your side and allow your hips to sink in just a bit when you are on your back. When you are on your stomach, the two layers of coils should also be supportive when you are on your back and stomach. 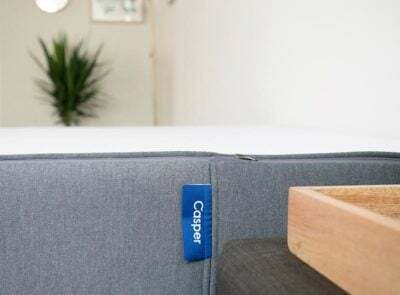 The two layers of coils on the Saatva give the mattress a level of support while still conforming to the shape of your body. The high-grade coils on the bottom are very supportive, and the micro coils act independently so they contour to your curves. Both mattresses should be breathable and should sleep cool. The Purple’s gel grid allow for great airflow, as do the two layers of coils on the Saatva. They should both be more durable than many mattresses in their price range. They each incorporate durable materials, so they should be long-lasting. In terms of firmness, both mattresses felt like a 7/10, a bit firmer than average. This makes me think that they could both be a good fit for combination sleepers, but let’s get more specific. On the Purple, I felt very nice support when I was on my back. The gel grid allows my hips to sink in, but the rest of the mattress stays flat and supportive. On my side, the grid does feel a little firm. As a lighter side sleeper, I may not engage this material as much as a heavier sleeper might. They may find the mattress to be softer than I did and feel better pressure relief on their shoulders and hips. On my stomach, I don’t bow in at my hips at all. It is a great match when I am on my stomach, and I feel properly aligned. On the Saatva, I also feel well supported when I am on my back. My hips sink into the pillow top just a bit, but not too much. On my side, I do feel some pressure on my shoulders and hips, but the pillow top feels fairly soft on my shoulders and hips. Lighter side sleepers will probably prefer the Saatva. However, when I am on my stomach, I do need more support to keep my spine aligned. I do bow in at the hips somewhat. In terms of feel, the Purple has a unique, squishy-but-firm gel feel. It is responsive, so you get pressure relief without the feeling of getting stuck. The Saatva has a traditional spring feel with a pillow top. 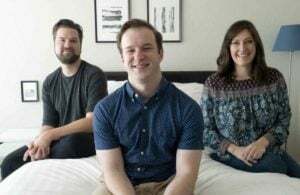 Fans of hotel mattresses will feel right at home on the Saatva. See how the Purple responds to pressure in the video below. 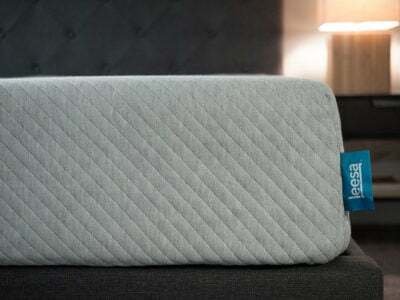 Now, see how this compares to the innerspring Saatva mattress. If you sleep with a partner, you also want to consider how well your mattress cuts down on motion transfer. Are you going to sleep calmly or feel your partner moving around? Neither of these mattresses handles motion transfer particularly well. The hyper-elastic polymer on the Purple is good with pressure relief, but it doesn’t absorb movement very well. Likewise, the pillow top and coils in the Saatva aren’t the best at cutting down on motion transfer. See how the Purple deals with motion in the video below. Now, look at how the Saatva compares. Between these two mattresses, the Saatva definitely features better edge support. While the Purple is designed to collapse under pressure, the Saatva has a foam encasement and coils. You should feel more secure sitting near the edge of the Saatva. Also, you should feel more stable lying down near the edge of this mattress. As a heavier person, I was a big fan of both of these mattresses. In terms of firmness, I said the Purple was a 6.5/10 and the Saatva was a 7/10. In terms of sleeping positions, sleeping on my back on the Purple, I felt very nice. My hips sunk in just the right amount, but the mattress stayed flat and supported everywhere else. On my side, there was very nice pressure relief. There was barely any pressure on my shoulders and my hips. On my stomach, the mattress stayed flat. I didn’t bow in and feel my spine get out of alignment. On the Saatva, I felt fantastic when I was on my back. The pillow top lets my hips sink in just a bit, and my lumbar are was supported. On my side, there was a bit of pressure on my shoulders and hips. However, the pillow top did do a good job of relieving pressure. On my stomach, I was bowing in at the hips somewhat. If you are heavier back sleeper, both could work. It comes down to what feel you are looking for. The Purple has a squishy-but-firm gel feel, and the Saatva has a pillow top hybrid feel. If you are a heavier side or stomach sleeper, I would lean toward the Purple. Marten’s experience was not surprising to me. On the Purple, he engaged the gel grid more than I did. Because of this, he felt better pressure relief on his shoulders and hips. Like me, he also found the Purple to be more supportive when he was on his stomach. You are a stomach sleeper. Between the two mattresses, the Purple mattress should give you better support when you lie on your stomach. The Purple stays flat when you are in this position, while the Saatva’s pillow top may allow your hips to sink in too far. You are a heavier side sleeper. If you are larger, you may activate the gel material more than a lighter sleeper. This could give you better pressure relief than the pillow top on the Saatva. You prefer a pillow top innerspring feel. If you like the feeling of a hotel innerspring mattress, the Saatva is the better choice. You can feel the bounce of the springs, while the pillow top will give you a plush feeling as well. You are a lightweight side sleeper. If you are a lightweight person, you might not activate the gel on the Purple, and it may feel very firm when you are on your side. If you aren’t too heavy, the pillow top should on the Saatva should relieve pressure on your shoulders and hips. Using this information, you shouldn’t have a hard time choosing between the Purple and the Saatva. Stomach sleepers and heavier side sleepers should feel better on the Purple. Lighter side sleepers and those who like a classic innerspring feel should lean toward the Saatva. Please leave any specific comments or questions about the Purple or the Saatva in the comment section below. Hi. I sleep on my side slightly rotated towards my stomach. I weigh 180lbs (5′-10″). I have a bed in box azul and have back pain after four hours. Purple or Saatva or… a third option. Thx! Saatva or Purple should both work well for you. Hi! I am lost in the sea of online mattresses. The Purple and the Saatva are I think what we have narrowed it down to. However, coming to a conclusion when two of you are making the decision isn’t always that easy. I’m looking for a queen to share with my partner, we are both around 230lbs, he is a back/side sleeper and I am a side/stomach sleeper. I have fibromyalgia so pressure relief is a must and he sleeps hot. We have both only ever had innerspring mattresses and don’t like the feel of foam ones we’ve tried in stores. Any recommendations?! Thank you! I think the Saatva would be a good fit. 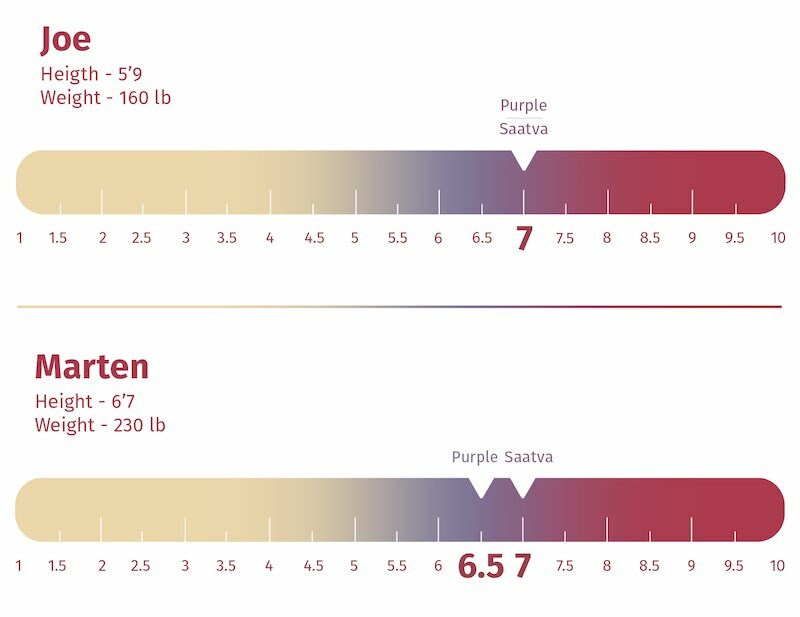 Which mattress – Saatva or Purple – is a better option for larger/heavier people? My husband is 6’4″ a 275 lbs. The Purple 3 or Purple 4 would be the best option for someone of that weight. It has been almost a year of decision making and it is now or soon, hopefully! I am a side sleeper who is constantly in motion. I have allergies and fibromyalgia (which means lots of pressure point issues). 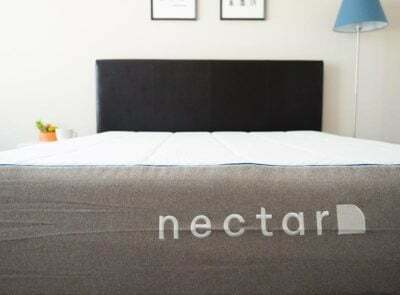 I prefer medium firm and I started out wanting an organic mattress. Please help!!!! I don’t know if I have gotten lost in space, but I have narrowed it down to the Purple 3 vs Saatva Zenhaven. Have I gotten off the yellow brick road? Go for the Purple 3. Joe, Thanks so much for doing a side by side of these two mattresses. When we visited with our chiropractor about new mattresses these were the top two recommendations. Not having heard of either before it was super helpful to find your review. We really like the nice addition of the video comparison on buoyancy! Thank you for testing these two mattresses. It’s very helpful to me as I’m trying to make a final decision on which one to buy. I think I’ll go for the Saatva as I’m used the traditional mattress type. Thanks Joe! Hi Julia, I’m doing comparison shopping as you did Saatva v Purple. Were there any others you shopped/considered in addition to these 2? 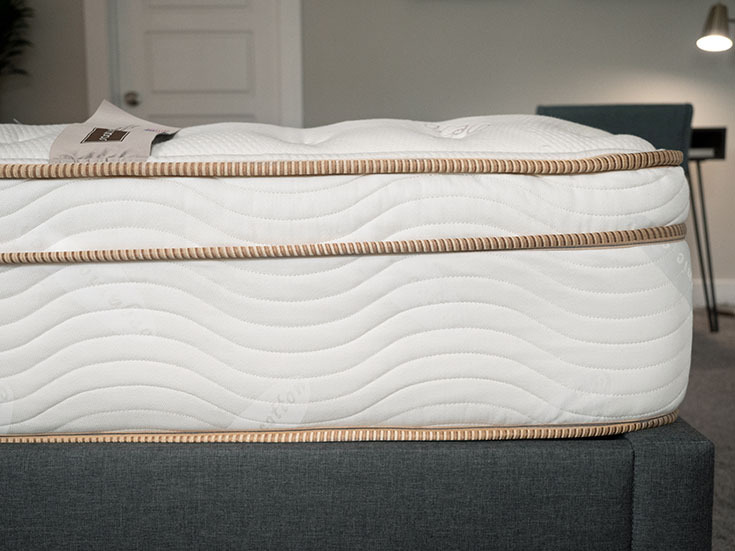 Which of the mattresses is better in terms of pressure points (shoulders and hips when side sleeping, lower back when back sleeping)? If you are 125 lbs. or over, I would say the Purple. Which one is better for stomach sleepers and which one is likely to last longer? THanks! I like Saatva for stomach sleeping. It’s a tough call as to which one will last longer. I have one question only. 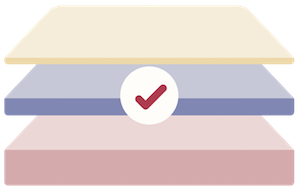 Which mattress is better for back pain? I suffer from really bad back pain from my years in the military and im just looking for something that’s going to really help put with that. I think they’ll both be good for it. 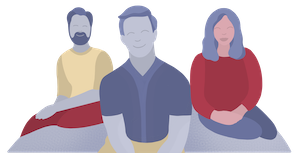 Saatva is designed to be zoned, which means it gives you extra support under the heaviest parts of your body. There’s some good evidence that is great for back support, but I would hesitate to make any big claims about it because I’m not a medical professional.